The European Muslim Network has had its Annual General Assembly between the 15.-17.02.2019 in Cologne/Germany with participants from Germany, Belgium, the UK, Serbia, Bosnia, Portugal and Malta. The General Assembly accepted the resignation of its founding president Prof.Dr. Tariq Ramadan and thanked him for the leadership and support throughout the years and wished him and his family Allah’s (t) support and mercy in this difficult time. The European Muslim Network took in the past a clear position of support to its former president and questioned the way he was treated by the French Judiciary and still believes that he did not receive a due process and that his case was highly politicised and unfair. Furthermore it turned out, that till today no criminal or illegal wrongdoing has been proven. Despite that, the case showed that Prof. Dr. Ramadan was not able to stick to the high Islamic moral and ethical principles. The European Muslim Network acknowledged Prof. Dr. Ramadan´s sincere and deep apology for the disappointments caused. The European Muslim Network is aware of the damage and confusion that occurred in the Muslim community and the wider European society and is taking accusations seriously that we have not acted in the case in an appropriate manner. 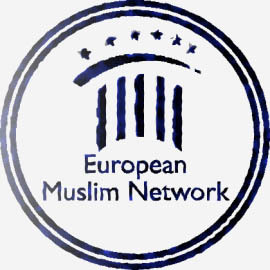 The European Muslim Network reviewed its current structure and decided to form a new leadership team. We will continue to work on our vision and mission towards the strengthening of a European Muslim identity, to ensure that the Muslim presence in Europe is part and parcel of the European societies they live in and to reflect on contemporary European challenges from a Muslim perspective. Muslims of Europe share the same fate of these societies and should engage for the betterment of human life wherever they are.